"I am writing this for you Saleem. I am writing about us, about how I loved you, and how I killed you." As Avi Goldberg, the son of a Jewish pioneer, sits at a desk in a dark cell of a military prison in the Negev desert, he fills the long nights writing about his friend Saleem, an Israeli Arab he befriended on a beach one scorching day in July, and the story of Saleem's family, whose loss of their ancestral home in 1948 cast a long shadow over their lives. Avi and Saleem understand about the past: they believe it can be buried, reduced to nothing. But then September 2000 comes and war breaks out—endless, unforgiving, and filled with loss. As the Intifada rips their peoples apart, they learn that war devours everything—even seemingly insignificant, utterly mundane things—and that sometimes, if you do not speak of these things, they are lost to you forever. 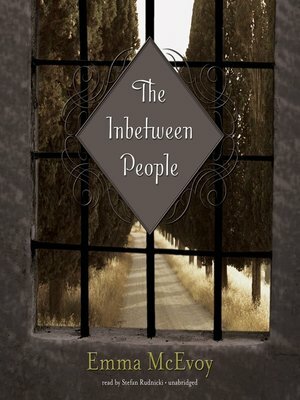 Set among the white chalk mountains of Galilee and the hostile terrain of the Negev desert, The Inbetween People is a story of longing that deals with hatred, forgiveness, and the search for redemption.